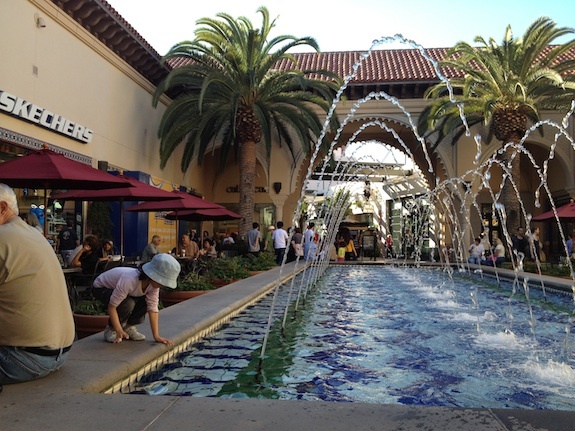 The Irvine Spectrum Center is a large outdoor shopping mall on the south-east edge of Irvine, California, centered on a large Edwards 21 Cinemas movie theater. 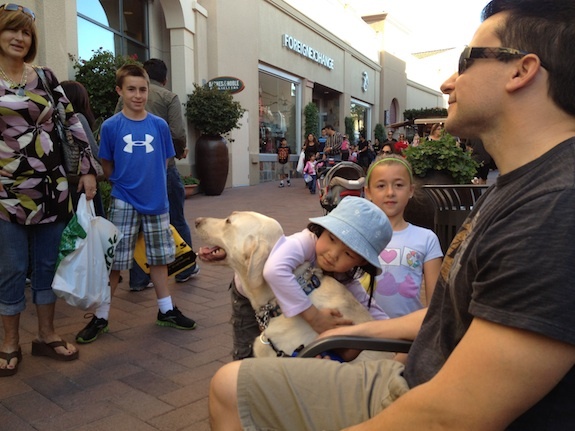 Built over a 10-year period, the first phase of the mall opened in 1995, with the second phase following soon after in 1998. The third phase was completed in 2002. The fourth and fifth phases were built and completed through 2005 and 2006. 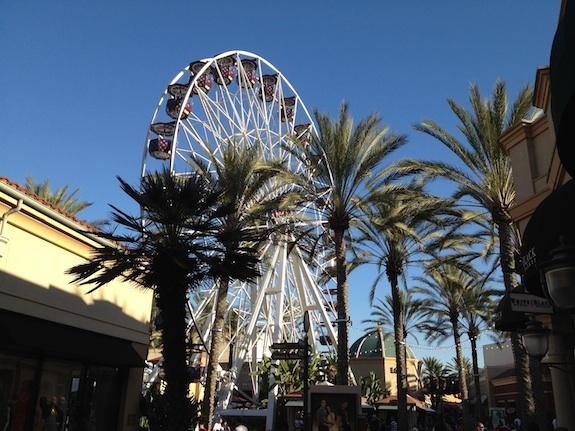 The open-air shopping center features a large custom built Giant Ferris Wheel hand crafted in Italy and shipped through the Panama Canal, as well as a Carousel, fabricated in San Francisco. During the “winter” months, the center offers an ice rink. There is also a train going through the center on the weekend but its batteries died a few months ago and the train hasn’t been seen since. 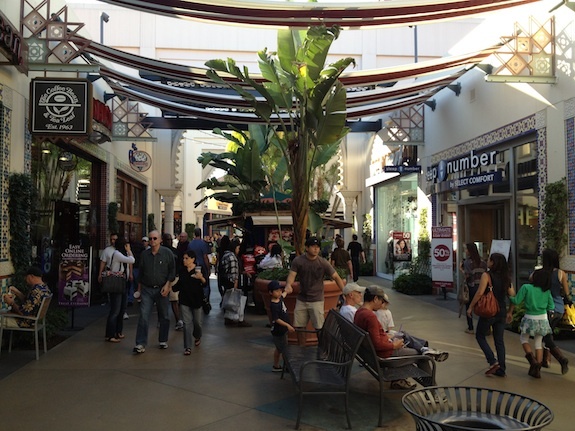 At 1.2 million square feet, the Irvine Spectrum center is pretty huge and offers more than 130 retail stores, restaurants and entertainment venues to explore. 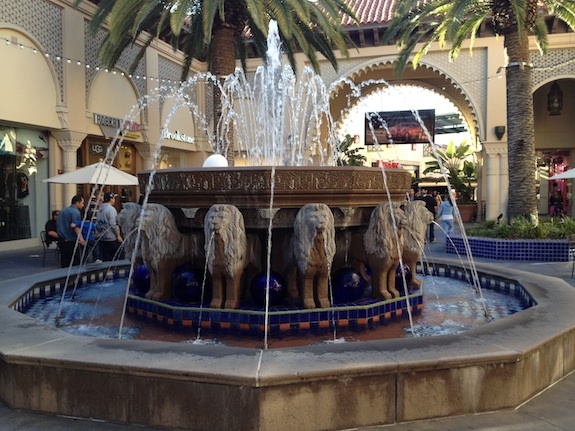 The Center is known for its upscale (it has valet parking) family environment, its safety, its ornate beauty with intricate tile work, massive archways, quaint canopy covered walkways, and many fountains (some of them interactive for kids) inspired from those found in Italy, Spain and Morocco. The parking structures have sensors that determine how many vehicles are inside at any given moment. 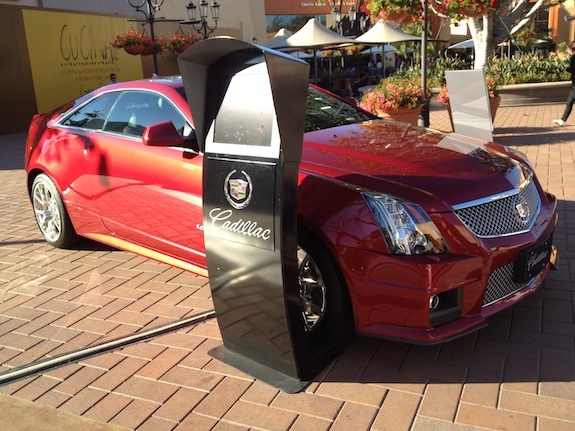 As you enter the structure, a large digital display will tell you how many spots are left on a given level.